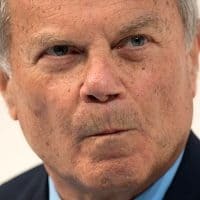 Now that Martin Sorrell and his personal “horizontality” issues have become fodder for the tabloid press, WPP was able to conduct its annual general meeting with less muckraking than might have been expected. A majority of shareholders approved WPP’s remuneration report, although 30 per cent voted against it, presumably in protest at Sorrell’s £20 million pay off. That’s a lot more than the 20 per cent who objected last year, but less than the 33 per cent who rejected it the previous year, and a great deal less than the 60 per cent who rejected it in 2012 as a protest against Sorrell’s perennially high pay. Mark Read took on the CEO role for the AGM, although he said he was speaking on behalf of himself and Andrew Scott, who continues as Read’s co-COO while the search for a new CEO continues. WPP strategy now rests on five pillars, Read said: client-centric, with a simpler structure (these two replace horizontality); creativity at the heart; data and technology; and an inclusive culture. As expected, chairman Roberto Quarta stayed behind the “data privacy” shield and said nothing about Sorrell’s alleged misdemeanours, so we will have to rely on the FT and the Daily Mail to keep us up to date on his Shepherd’s Market antics. Quarta insisted that Sorrell would keep his £20 million in stock options and his good leaver status because the board’s investigation had not found him guilty of gross misconduct. One sharp shareholder asked whether setting up a rival company might not be considered gross misconduct, referring to Sorrell’s new S4 Capital venture that he is calling a “next generation” advertising group. Quarta’s answer was that Sorrell had publicly referred to S4 as a “peanut” compared to WPP, and therefore it was not a competitor. Another shareholder asked what qualities the board was looking for in Sorrell’s replacement. Quarta gave out some bland platitudes: he or she would need a proven track record of strong leadership, global management experience, to be tech savvy and great with clients. It was standing-room only at the Purcell Room in the South Bank centre, thanks to the number of journalists and shareholders who turned up. There was also a good turnout from WPP bigwigs, including Pattison, as well as Tamara Ingram and Toby Hoare from JWT. Shareholders present included Tiny Rowland’s widow, Josie, and a lot of retirees who turn up every year for the theatre of the event and the generous free lunch afterwards. There was more security than usual around asking questions, with shareholders asked to present their green lanyards before taking the mic — presumably to distinguish them from the hacks. But the overall atmosphere among the board (eight men and four women) was lighter than in previous years, with a few smiles and the odd joke, suggesting that WPP is in some ways more at ease with itself post Sorrell. With like-for-like revenues minus pass through costs up a whole percentage point in April, perhaps the group has turned a corner. But until it has a new CEO and proves it can hold on to some of the big accounts under review, the jury is out. Is Sorrell planning a dynasty as he re-enters marketing fray?